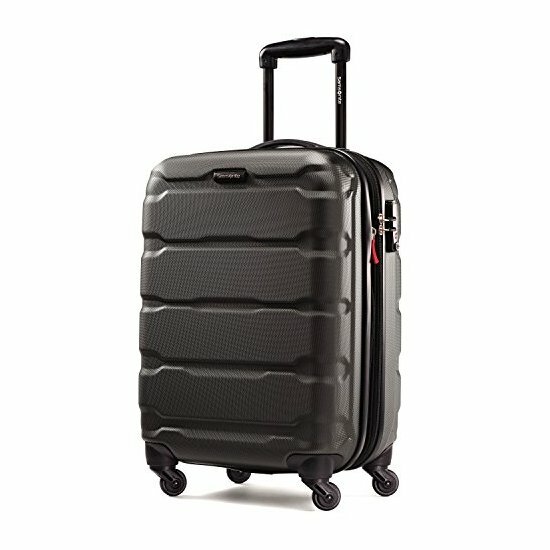 Need help on what luggage to buy and why? 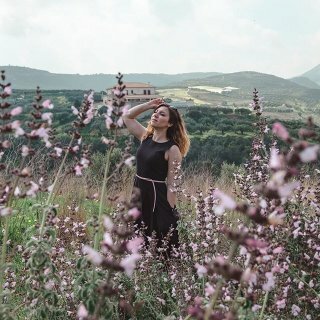 Here is our comprehensive guide to all suitcase sizes, including a breakdown on what suitcase size various airlines allow on board. With so many suitcase sizes out there, it can be a daunting task to understand which is the best luggage set, lightweight luggage or best travel backpack for your needs. Do you need a large suitcase or a small suitcase? 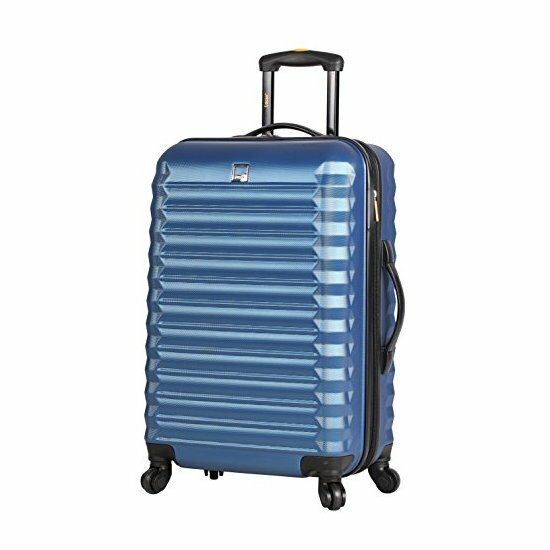 What is the optimum suitcase size and why? Do you need to purchase hard shell luggage or lightweight carry-on luggage only? 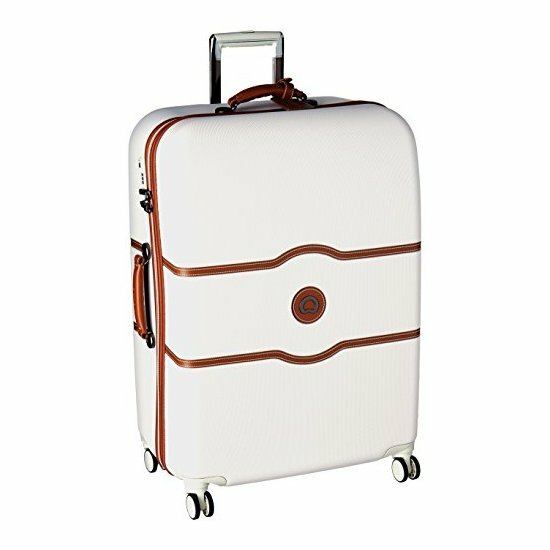 In this article, we will explain the suitcase sizes and help you understand what type of luggage you need and for what purpose. Which suitcase size is perfect for you depends on where you are travelling, for how long and which airline you travelling with. Each occasion requires a different suitcase size. We know how much we struggled to find the best suitcase size for our long haul flights and trips across Europe. So let's dig in and find you the most suitable suitcase size for you. All manufacturers measure the size of the suitcase from the ground to the top of the carry handle. So this means they don't actually give you the internal measurements of the suitcase. It's important to remember that a hard shell luggage will be smaller in capacity than a soft sided one. This is because when you pack a soft shell, it can expand a little. 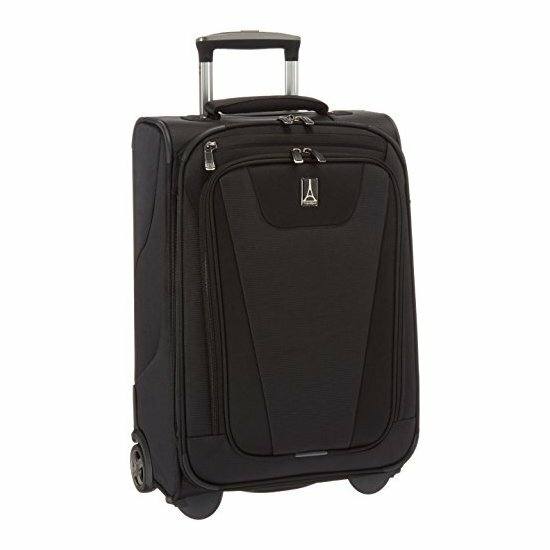 A four-wheel spinner also has a little smaller capacity than a two-wheel suitcase. 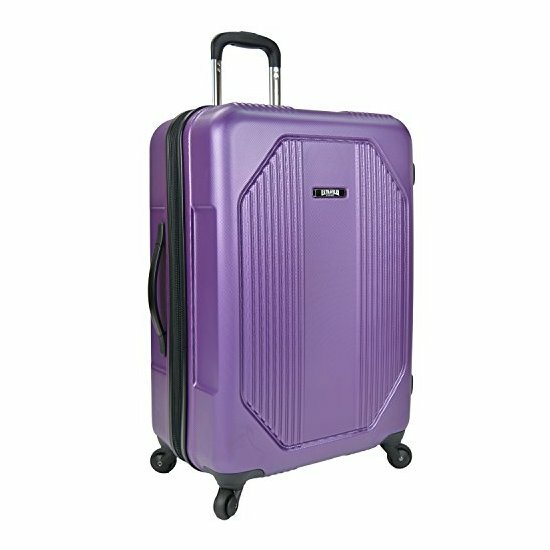 A small cabin suitcase measures 48 cm or 18 inches. The capacity is up to 40 litres. You can use a small cabin suitcase on pretty much all airlines. This is your luggage which you are allowed to take with you onboard during your flight, at no extra cost. These are perfect to use on budget airlines such as Wizzair or EasyJet as they are included in your allowance. Please note, some budget airlines are now limiting the size of the carry-on luggage or do not allow them at all without additional payment. Always check with your airline before you travel. Why buy this? The smallest of the suitcase sizes, the tiny cabin bag is perfect for business travellers who only need their laptop and few essentials for the flight. A small cabin suitcase is also great for travellers who have a large checked in luggage and don't want to carry anything else but their papers, electronics and valuable items. Why not buy? We do not recommend them on their own for long trips due to their small size and lack of space. Why buy this? 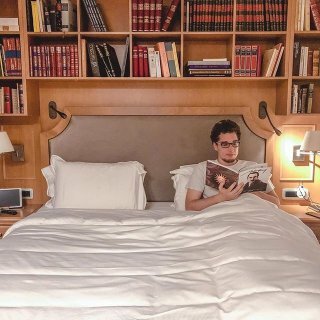 These are perfect for business travellers staying a few days at their destination. 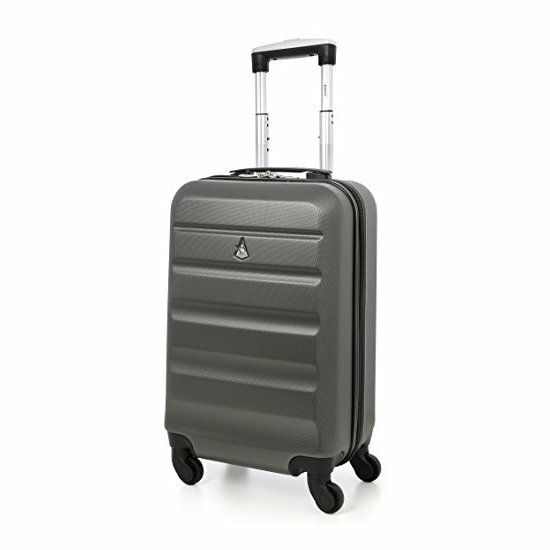 The large cabin suitcase is also perfect for short haul flights. If packed well, you can fit enough items to keep you going for 5-7days abroad. Why not buy? We don't have anything against large cabin suitcases. You might want to consider buying a smaller one if you travel short-haul. The size of an extra large cabin suitcase is around 56cm or 22 inches with a capacity of up to 50 litres. This is more spacious than the standard large cabin suitcase adding an extra 5 litres in capacity. However, most airlines accept suitcases which have max dimensions of 55cm, so you might find yourself in a situation where you actually have to pay to check in this type of luggage. Why buy this? If you are a frequent flyer with a specific airline carrier who allows you to take on board a cabin bag with these dimensions. This size is also a great option to check in for long-haul flights, alongside your carry-on in luggage. Why not buy? You might have issues with the size and weight of these suitcases. Consider the distance from the airport to your accommodation. If you have to walk a lot, maybe get a small suitcase. A medium suitcase measures 68cm or 24 inches and has a capacity of up to 75 litres. 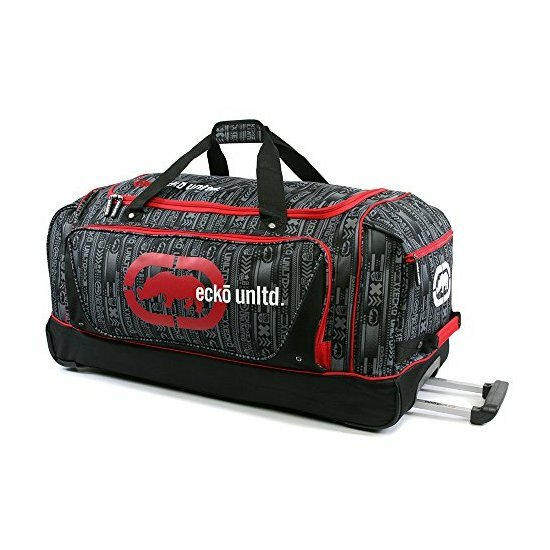 This is a fantastic option for short haul flights where travellers still wish to purchase checked in luggage but have no need for a large suitcase which might just be too inconvenient. This is also great for short multi-city stops as it's relatively lightweight and small enough to be incredibly practical. Why buy this? If you want to check in your luggage, but need a small enough luggage for you to freely move around with your luggage during your travels. Check out the four-wheel luggage for additional convenience. These are easy to roll around and won't fall over while you wait. Why not buy? We can't find any fault with this size. Consider how much stuff you need and if you think it will fit, go for it. Out of all the suitcase sizes out there, the large suitcase is perhaps the most popular for travellers wishing to check in their luggage. 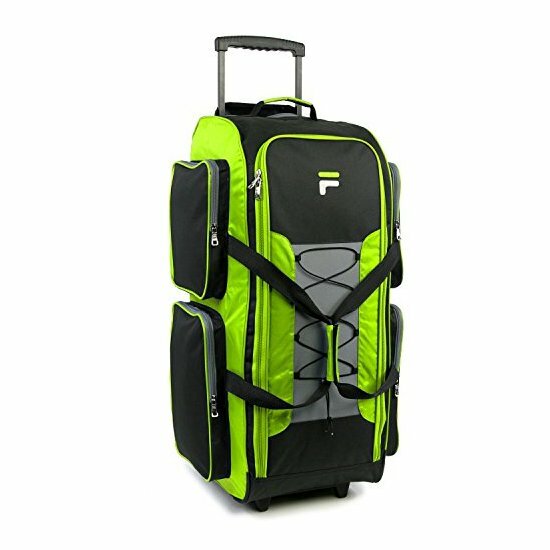 The large suitcase measures 74cm or 27 inches and has a capacity of 117 litres. 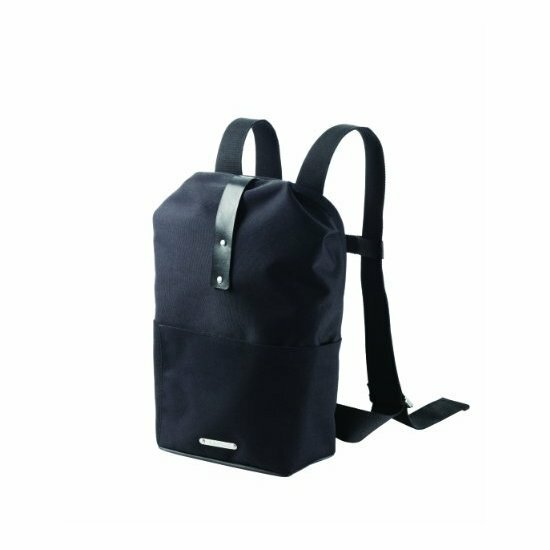 This is versatile, spacious and allows you to have a series of outfits with you. Why buy this? 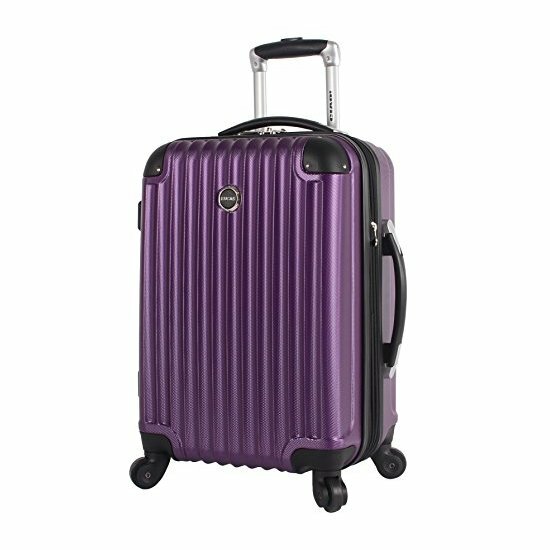 The large suitcase is ideal for long trips especially if you need to pack for more than one traveller. We recommend you to buy the four-wheel version as they will be easier to roll around. Why not buy? This size can be too big for some. Check the amount of stuff you want to take with you and based on the length of your stay try and estimate. Do you need this size? Tip: Always check the checked baggage allowance for your flight. These suitcases are easy to fill up, as they are so big. 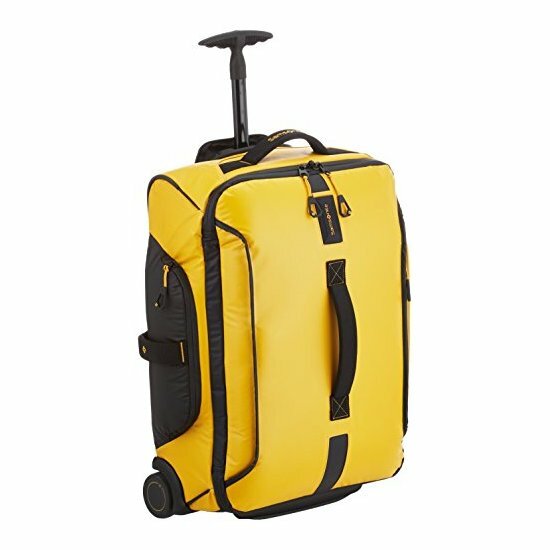 This suitcase measures 85cm or 32 inches and has a capacity of up to 130 litres. 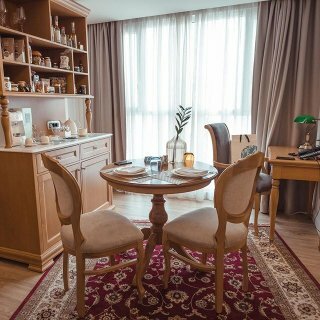 This is ideal for long stays or expats moving abroad. We use an extra large suitcase for our long-term travels. We used it for moving abroad, travelling to Japan and New Zealand. Probably one of the best investment to date. Why buy this? Perfect if you stay long-term in one destination as you can carry all your belongings in it. This is an excellent choice for families travelling with children as well. Why not buy? This is a very large suitcase and it can get a little inconvenient to carry around. The issue is usually not the space in the suitcase, but the weight limit imposed by most carriers. Also remember, if you fill up this suitcase to the rim, it might be too heavy for you to carry. As always we recommend buying the four-wheel version which is much easier to roll around without lifting it. With so many suitcase sizes available on the market it is important to first check with your airline on their luggage allowances. 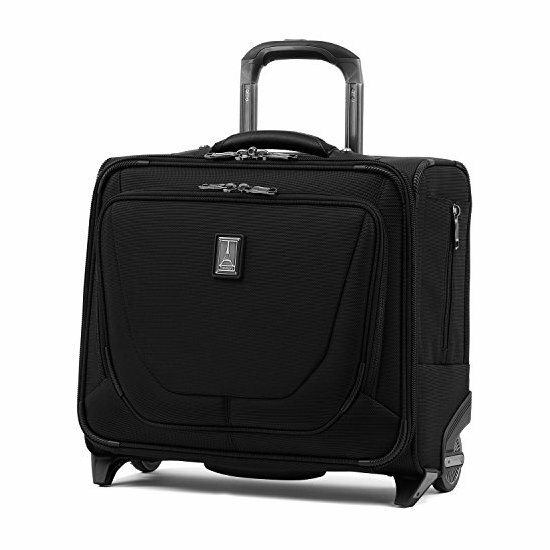 If you are a business traveller going on very short trips, then a small or medium-sized cabin suitcase will suffice. 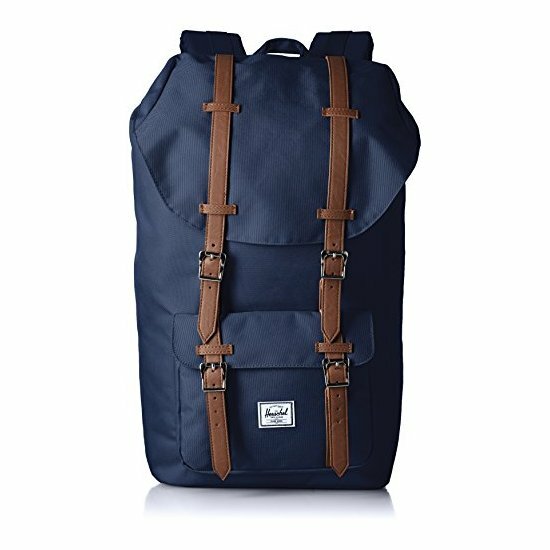 You should also consider an elegant backpack which fits your electronics, especially if you don't need to carry clothes with you. Depending on how often you change locations, a medium or large checked luggage and a smaller carry-on or backpack should be enough. Make sure to put your laptop and electronics into the carry-on. It is never recommended to put valuables into checked baggage. Depending on the length of your trip it is recommended to purchase a medium or large checked bag and take a smaller carry-on with you for your papers and electronics. Remember, don't put valuables into checked luggage and always take out insurance for your gear before travelling. If you are a budget traveller who doesn't want to pay for checked luggage, a large cabin suitcase will be perfect for you. Make sure you check with the airline before you travel to ensure your suitcase size fits the allowed carry-on sizes. Remember, that nowadays some airlines ask you to check in your luggage if you didn't purchase priority boarding and the airplane is full. It's a good idea to keep a small handbag or backpack with you which fits under the seat so you can quickly remove valuables from your larger luggage. If you are going away for a quick city break or doing a multi-city jump (we are jealous) a medium suitcase will be great. You can check it in or (in most cases) carry it on board. A medium suitcase will usually fit clothes and accessories for two people for 2-4 days. Need more space for gadgets and clothes? Pick a size larger suitcase and relax. We recommend you always go for the four-wheel version as it is much easier to roll around and you don't have to lift it up. Travelling for 1-2 weeks normally requires a medium sized suitcase per person (unless you are going to the beach or to a very hot destination). For your convenience, check in all your luggage and keep a small bag with you for your papers and valuables. This small bag should fit under your chair. The medium or large suitcase is for long-term travellers or couples who want to minimise the checked in costs. When you travel with someone, both of you have a carry-on bag to take on board and a checked bag each so you have a lot of space to play with. It's always better to travel light but we understand that you need a lot of stuff when you travel long term. Remember to check the allowances with the airline before you travel. The extra large suitcase is perfect for long-term travellers who spend a lot of time in one destination or for expats moving countries. Airlines normally allow you to purchase additional checked bags if needed. We recommend the medium or large suitcase sizes for families with children. Purchase the four-wheel version so you can carry your suitcase around much easier. Ever wondered how much stuff you can actually fit in one of these carry-ons? In this handy table, we have collected the measurements and volume of each airline approved carry-on suitcase. Airline companies around the world have different requirements in terms of size and weight of your carry on luggage. In the tables below, we have collected most major airlines and grouped them by their maximum allowed carry on size. For each airline, we added the allowed carry on weight in kilogram and pounds. Airlines listed below allow carry-ons no larger than 55 x 35 x 25cm or 21.6 x 13.8 x 9.8 inches on board. Airlines listed below allow carry-ons no larger than 55 x 40 x 20cm or 21.6 x 15.7 x 7.9 inches on board. Airlines listed below allow carry-ons no larger than 55 x 40 x 23cm or 21.6 x 15.7 x 9 inches on board. Airlines listed below allow carry-ons no larger than 56 x 36 x 23cm or 22 x 14 x 9 inches on board. Airlines listed below allow carry-ons no larger than 56 x 45 x 25cm or 22 x 17.7 x 10 inches on board. Each airline listed below has a different carry-ons policy. If you can't find your airline, please let us know in the comments section below and we will try and help. Most airlines allow a checked in luggage to weight between 20kg (44 pounds) to 25kg (55 pounds) but the checked in baggage allowance varies so much that it is almost impossible to collect them all. The allowance will depend on the airline, the length of your flight (short or long-haul), sometimes the policy of the airport where you depart from, etc. Always check with the airline before you travel and allow yourself enough time to pack your bags before you leave. What is the largest suitcase you can check on a plane? The weight limit for the largest suitcase you can check in is 30kg (66 pounds) per checked bag. Size restrictions also apply, the largest suitcase dimensions you can check on a plane is 81 x 59 x 34 cm (31 x 23 x 14 inches). Remember, depending on your ticket class, you might have additional allowances, like extra bags, extra large bags, etc. Please make sure to check with your airline before you travel. If you are taking extra carry on luggage with you on board or check an extra suitcase on the plane, you might be required to pay an 'excess baggage fee'. The excess baggage charge can significantly vary between airlines. Excess carry on fees are normally lower than excess checked in luggage. Also, keep an eye on potential extra fees. For example, if your extra luggage is also oversized (it's larger than the permitted checked in luggage size) you might need to pay additional charges on top of the excess baggage fee. Suitcases are normally very inconvenient to carry around. Always purchase the four-wheel version of larger suitcases. These are easier to roll and you don't have to lift them up. One drawback is the quality. If the suitcase is bad quality, you risk the wheels to be broken by the time you arrive at your destination. 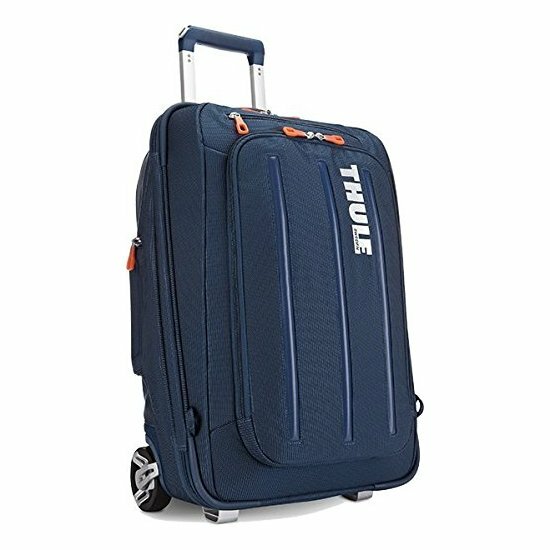 Check the reviews and try to go for the suitcase with the most indented wheels. We found that it's sometimes better to carry one large suitcase with us instead of two or three smaller ones. However, always make sure not to overfill your suitcase and check it's weight before you travel. Unfortunately, it can happen that things disappear from your checked baggage. We recommend that you never put valuables into your checked baggage. 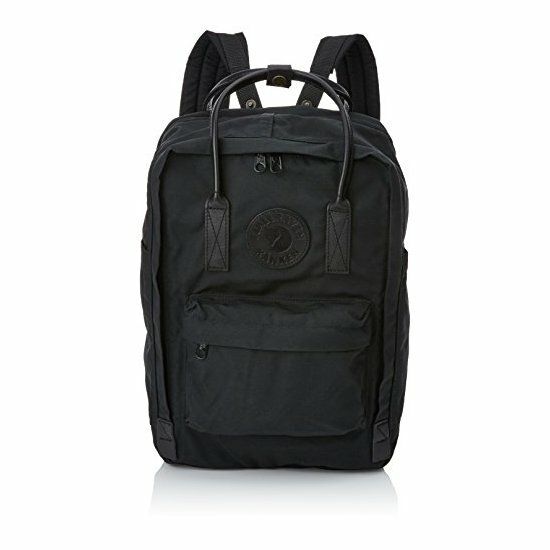 Keep a small bag with you and put all your papers, electronics and valuables in there. 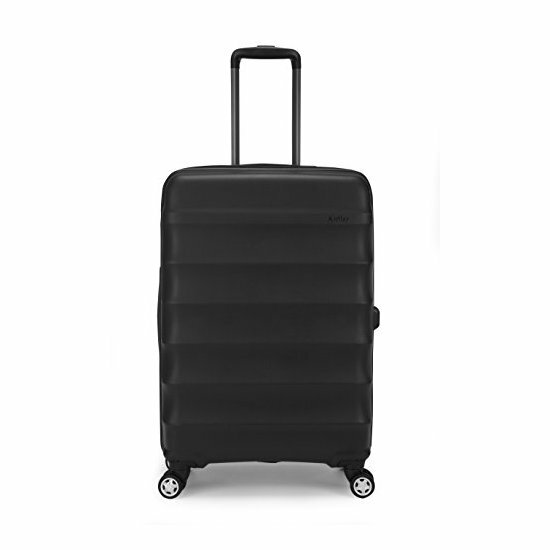 We found that during long-haul we prefer a good, sturdy suitcase with hardshell. It will protect your items in the suitcase and won't tear or damage during handling. Soft cases are lighter normally and easier to carry when you go for a short trip. Wrap fragile items with clothes so they survive the trip. Regulations on bringing batteries on board (in a carry-on or checked baggage) varies country to country and airport to airport. Find the European regulations here. Most airlines and airports require you to carry the batteries with you on board in your carry-on. The batteries will be checked during security. Some airports (we are looking at you Budapest Airport) might not allow you to carry drones on board in your carry-on. You will have to take any batteries out and place them in your carry-on separately. 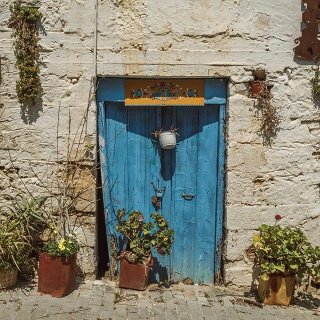 Always check the regulations before you leave for both your origin and destination countries. If you transfer to a new flight, make sure to check the policy of the transfer airport & country too. We always try to improve the information here. If you notice any mistakes or outdated information please let us know in the comment section below. Do you have any tips? Share it in the comments below and we will add it to the article. Also known as 'G', Gergely is a web developer and software engineer who lovingly created the code behind You Could Travel. G occasionally writes data rich articles for the blog, takes pictures and videos. Check out these articles for more information about suitcase sizes, travel trips and tricks. 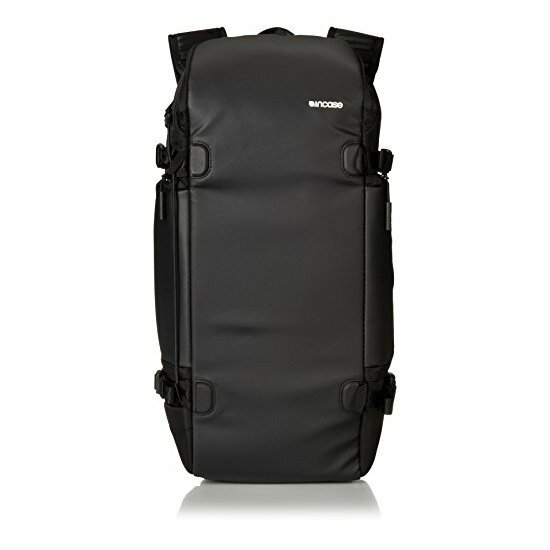 Still wondering what is the right carry on luggage for long term travel? Now that you have picked your favourite suitcase, you are ready to go! Not sure where? Check the articles below for inspiration. before. So good to discover somebody with some genuine thoughts on this topic. Yes it does. Of course, it depends on what type of things you need to bring with you. For example, a medium size full of liquids will easily be over 20 kg. With clothes and some liquids, you should have no issues at all. 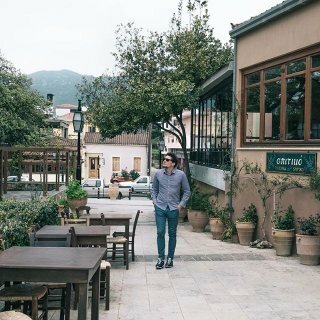 Hi firsty this was a great read and secondly just a quick question I am moving to england and I am told I can take 23kg checked lagguage and 7kg carry on so 30kg in total. So for the checked baggage what size would you reccomend as a lot of the suitcases that i am looking at have a capacity in litres not in kg which is a bit confusing? 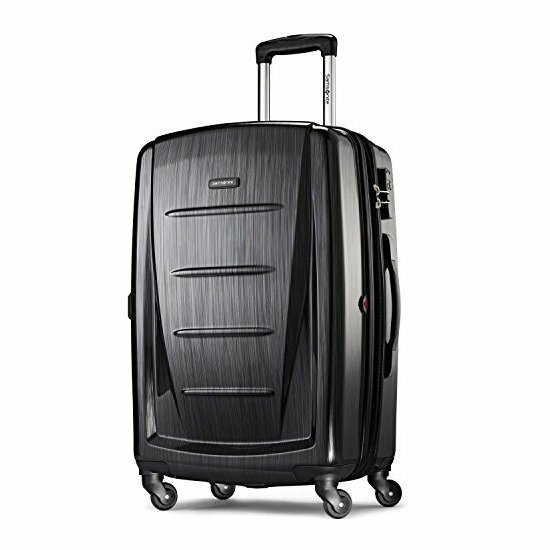 We bought the Samsonite Valise Termo Young as recommended in the extra large suitcases. We make sure we fit bulky items (like winter clothing) but don't go over 23 kg when we measure it. If you have smaller items, you can also go for a "large" suitcase. The capacity is there to guide on how many bulky items you can fit. Also, if you travel by car, an extra large suitcase is more suitable as you don't have to worry about the kg but gain a lot of inner space for your items. I hope this helps. Absolute great info.Do you detailed check in luggage sizes too? Thank you for your message. We just updated the content to contain more info. Hi. 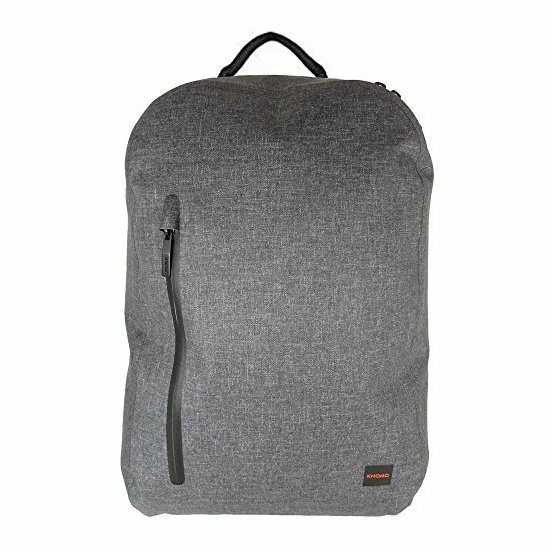 so this is my first time traveling overseas and I need your opinion, what kind of luggage should I get for 5days and 4night holiday. We will go on Autumns and will move to 3 city. I am moving from England to Spain via Malaga on Easyjet. I can book 3 suitcases up to 32k each. 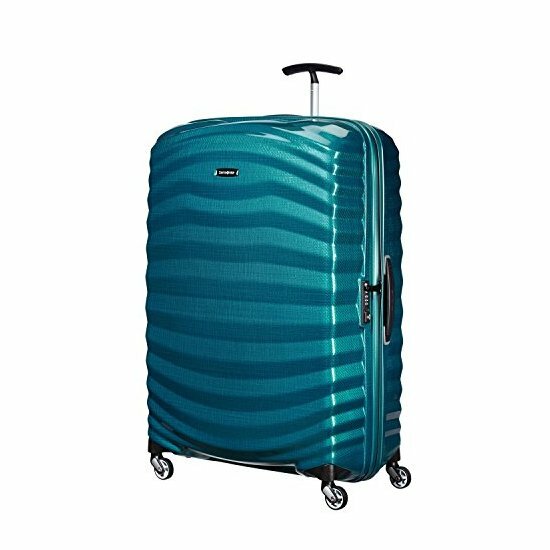 I need to buy these suitcases but don't know the dimensions of each suitcase( I think total is 275cm)?? Silly question?? HELP!! I think you can go for a large or extra large suitcase. We used extra large and it was fine! Hi, thanks for the tips. The only other things to mention is that suitcases with 4 wheels should never be rolled on just 2 wheels. Very susceptible to breaking the wheels. And, clamshell bags don’t fit very well on hotel suitcase stands. Nor are they as convenient because they take up twice the space when opened and can be difficult to move without having to close them completely. Hi,you have a great website, very useful when planning trips, however!! I am planning a safari and beach holiday which includes main flight with Emirates but internal light aircraft flights with a maximum weight allowance of 15kg. 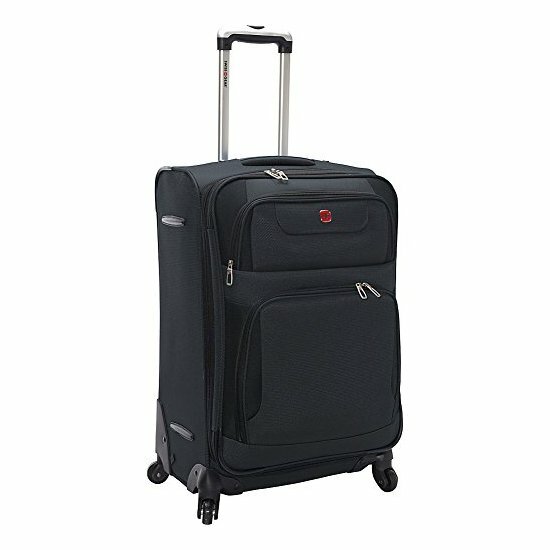 I can't leave a large suitcase anywhere safe, so help please, what do you recommend? I will be taking a small rucksack as hand luggage. Thank you for your message. Unless you can leave the large suitcase safe anywhere, we recommend travelling with your 15kg only. You can check to see if you can pay extra to bring the large suitcase on the internal flight? Sometimes, for a fee, they allow it. If not, check online to see if the airport offers any storage facilities. That usually helps. Alternatively, if you plan on staying in a hotel prior to your "light flight", maybe check with them to see if they can store your luggage for a period of time.